Real estate and property development are known to be amongst Australia’s safest and most predictable forms of wealth creation. Over the long term, astute investors will have seen the value of their properties rise steadily. In fact, many local property owners have seen a two-fold increase in the price of their home or investment property in Melbourne’s metropolitan areas. What this shows is that as long as you have a clear, and actionable long-term strategy, property is one investment class where historically the average person has had a great chance to succeed. However, we know from our clients there is still a lot of uncertainty about the ‘right’ strategy to follow. This question is even more important today given Melbourne’s strong growth over the last couple of years. Many clients have asked for our insights into where we are in the property cycle. 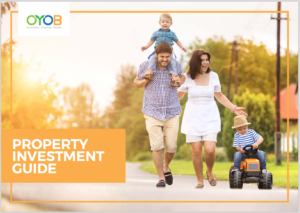 To try to answer some of the common questions we receive, the OYOB team has compiled this guide, to give a comprehensive overview of some of the strategies the rich use to invest in property; strategies that we utilise to give us and our clients the very best chance of succeeding in the long term. It’s never been easier to expand your property investment knowledge. To connect with us and find out how property investment can help you achieve your financial goals get in touch below. OYOB is an Australian-owned Property Development group based in Melbourne, who provide a holistic investment and property advisory service to clients. OYOB empower clients with the knowledge and education to make their own investment decisions, as well as providing genuine wholesale property development opportunities to realise wealth creation.